The Samsung Galaxy J6 has a new screen aspect ratio and another interesting thing is that it even has a face recognition. For the rear facing camera it has 13 megapixels and front 8 megapixels. It also has a fingerprint scanner and this is the 3 gigabyte RAM model that comes with 32GB storage. There is also another model that do come with 4 GB of RAM and 64GB o f storage. The screen of the Samsung Galaxy J6 looks very good due to the 18 : 9 aspect ratio. From the box it comes loaded with a bunch of paperwork like quick start guide and warranty card, a sim ejector tool, a micro USB cable and normal earbuds. It has a 3000 milliamp hour battery and a 5 volt 1 amp charger which is definitely not a fast charger. It looks a little bit premium because of the news screen aspect ratio that Samsung likes to call infinity display. The AMOLED screen has 720p HD Plus display and the back is metallic. The back contains a 13 megapixel camera with F 1.9 lens and a fingerprint scanner. It is having a 5.6 inch and 720p HD plus infinity display that’s an AMOLED display. 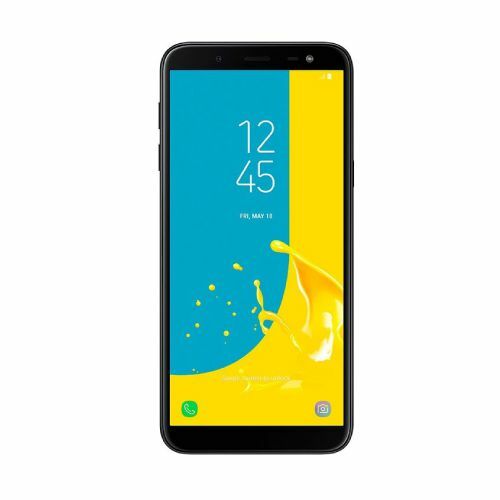 The Samsung Galaxy J6 is part of the Exynos 7870 octa-core processor and it has 3 gigabytes of RAM and 32GB of internal storage. Samsung Galaxy J6 also has face unlocking and fingerprint option. For the camera it is has having a 13 megapixel rear facing camera and 8 megapixel front-facing camera. It got quick toggles, brightness toggle and the auto brightness is not enabled and got an outdoor mode. There is no any physical buttons. The controls available are for home, multitasking and back. Samsung Galaxy J6 has a split screen option. Android version of the Samsung Galaxy J6 is Android Nougat out of the box and Samsung experience UI version 9. Out of the 32GB storage, one is able to get 22.6 GB of internal storage free with the device. The storage can also be improved with a micro SD card. Setting up the fingerprint scanner is pretty fast but there is a half a second delay in unlocking the device. Face unlocking feature also is easy to set up and work perfect. There are a number of Samsung specific apps like the Samsung Pay, Samsung Maxx and Samsung Mall App. The 13 megapixel camera has F 1.9 and even the front-facing camera is f 1.9 but that’s 8 megapixel. Front-facing has LED flash for the front-facing camera and shutter speed is fast. Video recording can be done up to 1080p that is Full HD.